Would you like plastic in that? Plastic Free July starts in just a few days time. Each year this initiative encourages us to eliminate, or at least reduce, our use of single use plastic throughout the month of July. It is a great way to increase our awareness of our plastic use by attempting not to use any. There are numerous reasons that we may want to reduce our plastic consumption. In addition to the problems of litter associated with plastic waste, there are problems for wildlife caused by ingesting our rubbish. Even if we dispose of it responsibly, plastic takes a long time to degrade. It is thought provoking to consider that the take-away cup that we discarded yesterday may still be lying in some landfill site years after we have forgotten about drinking that coffee. So what can be done about it and what are the specific issues for coffee drinkers? Air valves and metallised plastic are common packaging materials for freshly roasted coffee, but can we avoid them? One way to start to reduce our dependence on single use plastic is to understand how much we actually use on a day by day basis. Registering for a plastic free July is one way of doing this. As a result of attempting a Plastic Free July last year, I have found some plastic-free habits that have stuck with me all year. Loose leaf tea is one such improvement (teabags can also contain plastic). Although initially it seemed a bit of a pain to use a basket to brew the tea, as I kept with the habit I found it easy to compost the tea leaves after making a brew and the tea tastes better too. Things like shampoo bars and tooth ‘paste’ tablets (from Lush) have also been better and longer lasting than similar products packaged in plastic bottles. Although some plastic habits are hard to break, living as plastic free as possible for one month did deepen my awareness of the plastic that I take for granted. But perhaps living plastic free for a month is too daunting? An alternative challenge sadly emphasises just how linked coffee drinking can be to single-use plastic consumption. The Top 4 challenge asks you to eliminate, just for July, the target take-away items. Of these 4, at least 2 (and arguably 3) are linked to coffee drinking or cafés. The top 4 are plastic bags, bottles, take-away coffee cups and straws. Could you avoid these for just one month? Take the challenge. 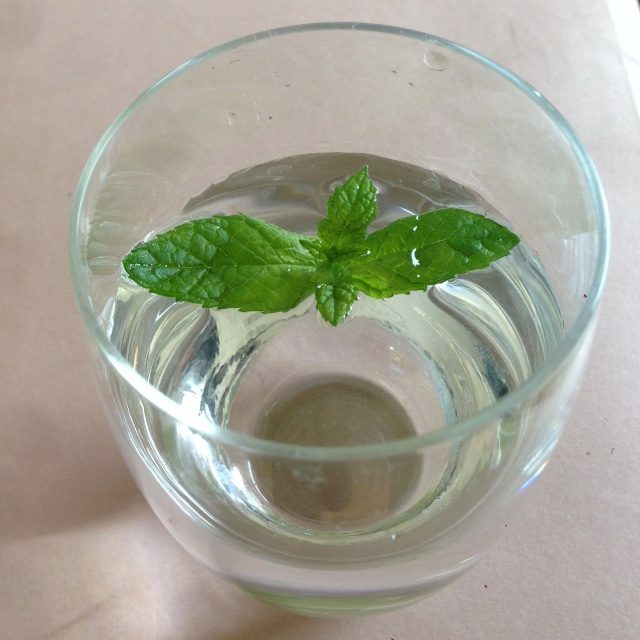 Enjoying a glass of water in a cafe can be better than running with a bottle of water anyway. If you are ready to go plastic-free in your coffee habits, here’s a list of where we frequently encounter single-use plastic while drinking in cafés or even at home, together with suggestions of how to avoid the plastic where appropriate. Please let me know in the comments section below if you can think of further examples (and how you are avoiding them either in July or more permanently). 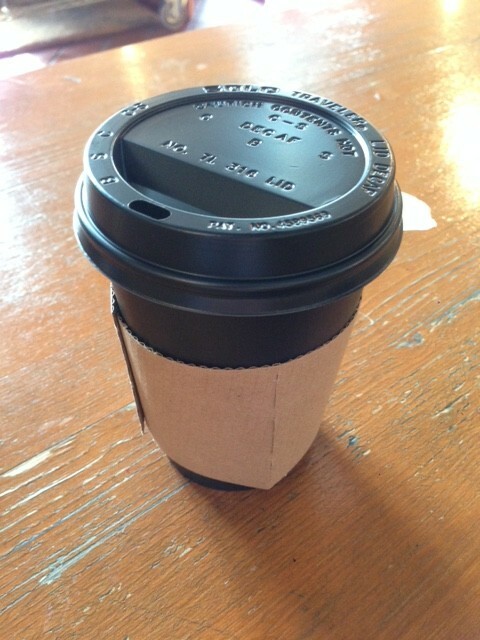 Disposable take-away coffee cups – get and use a re-usable one. You can find a helpful comparison of different types of re-usable coffee cups on Brian’s Coffee Spot. Tea bags – yes they can contain plastic, see more information here. To avoid them, get hold of a metal tea basket, or even a tea pot and strainer and start investigating loose leaf tea. 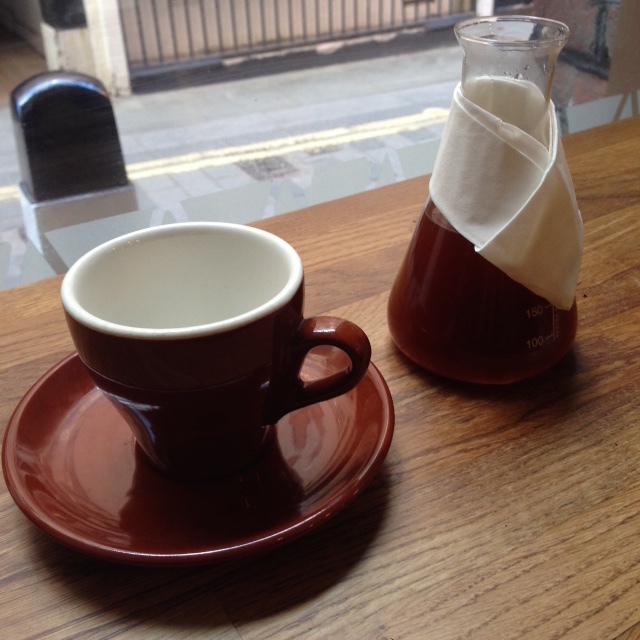 Air valves on your roasted coffee bag – do you really need these? 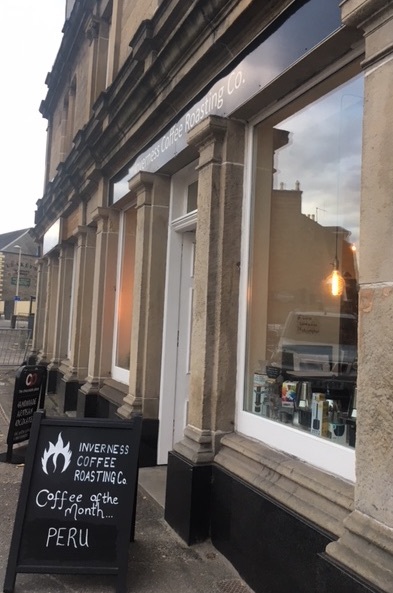 The Nottingham based coffee roaster, Roasting House, did a taste test on freshly roasted coffee packaged with and without air valves, you can read their results here. If the coffee roaster that you normally purchase coffee from insists on using air-valves, why not write to them to request that they reconsider their packaging or try a more environmentally conscious roasting company to see how their coffee compares? Coffee packaging – What type of material did the last bag of coffee that you purchased come in? Chances are it was metallised plastic, why not find a roaster with alternative packaging? Who knows, you may find another great coffee roaster to add to the ones that you buy from. 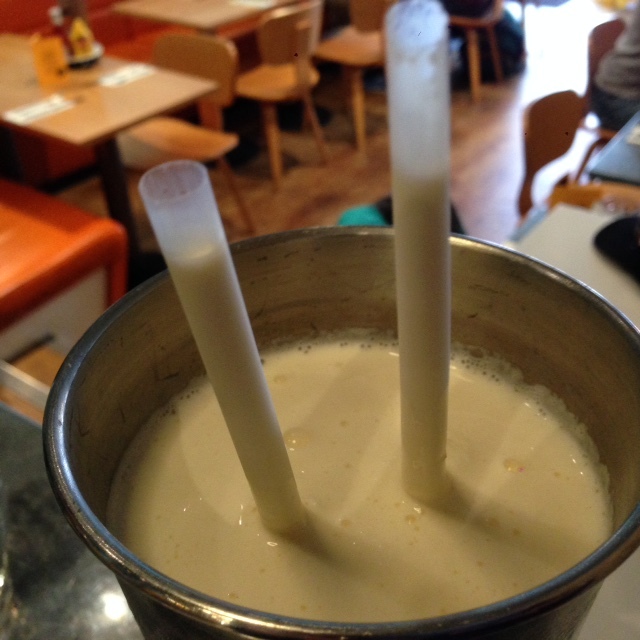 Straws – why would you use these anyway? Milk bottles – Some companies still supply milk in glass bottles, otherwise you could consider non-dairy milks that can be home-made such as oat or almond. 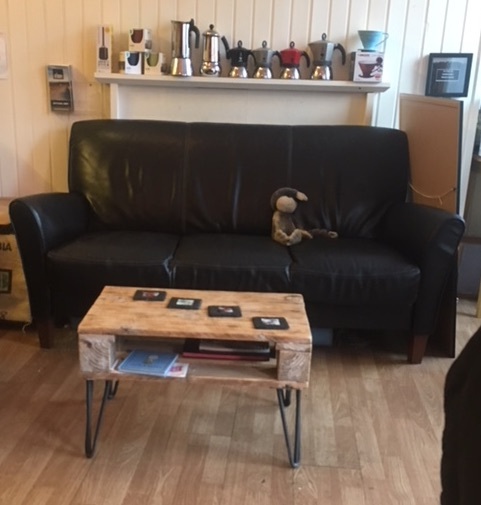 Some cafés also offer home-made non-dairy milks which would be a way of going plastic free while enjoying a latte in a café. Cakes/sandwiches packaging – in larger chains these may come in packaging. However, if they are coming in packaging then they are not likely to be that fresh, find somewhere else with better cakes or sandwiches or make your own! Packaging for sugar etc – ditching the sugar is supposed to be good for you anyway. If you cannot resist sweetening your coffee, try to find a sugar that is packaged in paper rather than plastic. Washing up liquid – switching to a re-fillable washing up liquid reduces (but does not eliminate entirely) plastic waste. Good luck if you take the challenge. There are still a few days left to plan how you can reduce the plastic in your life before the start of Plastic Free July 2017. Please do let me know how your attempts to be plastic free go and whether you find, as I did last year, that you enjoy your tea (or even coffee) more when you do so. There’s plenty of plastic in coffee & it’s not just in the obvious take-away cups. So we’ve probably all done it, walked into a coffee shop and purchased a take-away coffee while in a rush to get elsewhere. It’s the moment that our desired commitment to environmentally responsible behaviour clashes with our (briefly stronger) desire for sustenance on the move. Using a keep-cup (or similar) would avoid this bit of single-use plastic but even so, is this the only plastic that you encounter when you enjoy a coffee? Actually, once you start to notice it, you will find single-use plastic in a number of surprising places. An initiative called “Plastic Free July” aims to raise awareness of the pervasiveness of single-use plastic as well as to challenge us to do something about it. So, partly as an educational exercise, I signed up to the Plastic Free July, not because plastic is always bad, (there are arguably some very good, even environmental, reasons to use plastic, see below) but because plastic is a substance that takes a long time to break down once discarded and we use it so often even without thinking. So, before revealing just how easy – or hard – it has been to eliminate single use plastic from everyday life for the past couple of weeks, it’s worth taking a look at the problems, benefits and occurrence of plastic in our lives. Particularly while we are enjoying a tea or coffee. Plastic comes in many forms and Plastic Free July does not aim to avoid all of them. It is single use plastic that is the concern: Bits of plastic wrapping, plastic bags, aroma valves. Things that are used once and then discarded. Can you avoid using these, even for one week or even just one day? Why not sign up and commit yourself to trying to find out. Two of the major issues with our use of plastics are the problems of littering and that of degradability, particularly when that litter finds its way into the oceans. Between 60-80% of marine litter is plastic. It can cause the deaths of marine life not just through its being eaten (thereby causing internal injury or malnutrition), but also by entangling sea creatures and so causing death through drowning or other injury. 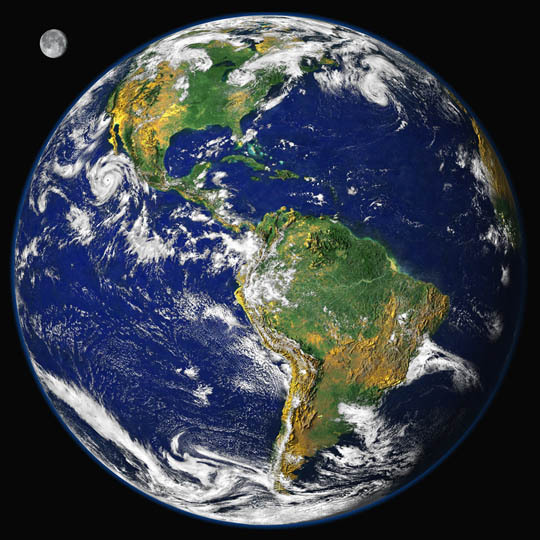 Moreover, the bits of plastic that float around our oceans can provide a home to various micro-organisms transporting them around the world to areas of the planet that they would not ordinarily have been able to reach. Nor is it just a problem for the oceans. Plastic takes many centuries to decompose and although there are plastics that decompose more quickly (oxo-biodegradable and compostable, more details below), clearly there is a need to reduce the amount of plastic we throw away. A further problem with plastics is that their manufacture requires the use of a limited resource. 4-5% of global petroleum production is used for the manufacture of plastic∗. But nor is it just petroleum products, the thing that makes carrier bags opaque is an additive called TiO2. It is therefore somewhat sobering to realise that 25% of the plastics manufactured in the US are used in packaging* and 37% of the plastics produced are for disposable items. Clearly we have room to live less wastefully here. Is it better to swap to paper packaging? It may depend on what problem you’re trying to solve. Although there is a big problem with plastic waste, a different environmental problem has arguably benefited from our use of plastic packaging: The greenhouse effect. Consider the way that ground coffee is often sold in a supermarket. Frequently the coffee comes in metallised plastic packaging complete with plastic air-valve (or aroma valve). Alternatively, coffee can be packaged in a steel can (as used by a well known coffee roasting blend). Steel is 100% recyclable and so is good for the degradability/litter problem. However it is heavy and cylindrical. This means that to transport an equivalent amount of coffee in steel cans costs more, both in terms of economic and environmental costs, than the lighter, less bulky plastic of the alternative*. What about paper packaging? It is interesting that even here, the situation is not clear-cut. A study concerning the greenhouse gas emissions involved with the manufacture and transportation of different sorts of shopping bag had what may be a surprising conclusion. In order to achieve a lower CO2 footprint than a standard plastic shopping bag re-used once as a bin-liner, a paper shopping bag would have to be re-used 4x while a cloth bag would have to be re-used a staggering 173x. 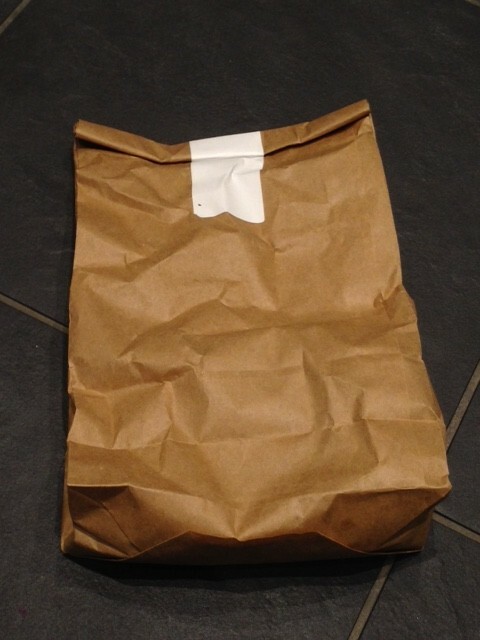 You may well argue (as I have) that it is still better, environmentally, to buy your coffee in paper packaging, but if thinking purely in terms of the CO2 emissions, you may want to try to find a way to re-use the coffee bag a few times. Lastly, the litter and degradation problem need not be insurmountable. In recent years, various manufacturers have sought to make plastic degrade more rapidly than ordinary plastic. Oxo-biodegradable plastic has additives in it that, when exposed to UV light, eg. from the Sun, help the (otherwise perfectly ordinary) plastic to completely biodegrade. The process takes a controllable amount of time that can even be as little as 2 years. Compostable plastic too is being developed but there should be caveats on the name. “Compostable” is defined as “industrially compostable” (meaning it degrades if held at a steady 58C), it does not necessarily mean that it composts in your compost heap. There’s plastic in my coffee? Aroma valves: are they worth the environmental cost? So, we’re aware of the problem and want to do something about it but how much is single use plastic really a problem for coffee (or tea) drinkers? Take-away cups are the obvious source of single-use plastic, but plastic can be found in many places as we enjoy our brew. If we are having coffee in a café (even if it is not take out), how about the spoon for the sugar, plates for the cakes or even wrapping around the chocolate bars? If you drink your coffee with milk (cow, soy or almond) it will often come in plastic bottles, yes these could be recycled but would it be better if they were made from something else? (It is an interesting fact that more plastic was sent for recycling in the UK than was used by consumers†). An easy way of reducing your plastic use would be to use your own mug as a take-away cup (keep-cups for example are designed to be of the correct size for the cafe industry). And there may even be other advantages to you in bringing along your own cup: For Danny S Parker, taking along his own cup for his coffee allows him to better enjoy the coffee, as he says “If you choose a wide mouth cup… the involvement of the nose in the taste on the tongue will accentuate flavour and enjoyment.” Reducing your plastic consumption could mean that even a take-away coffee can provide a moment to enjoy your brew. What about if you only ever drank coffee at home? Where’s the plastic there? Well, how do you buy your coffee? 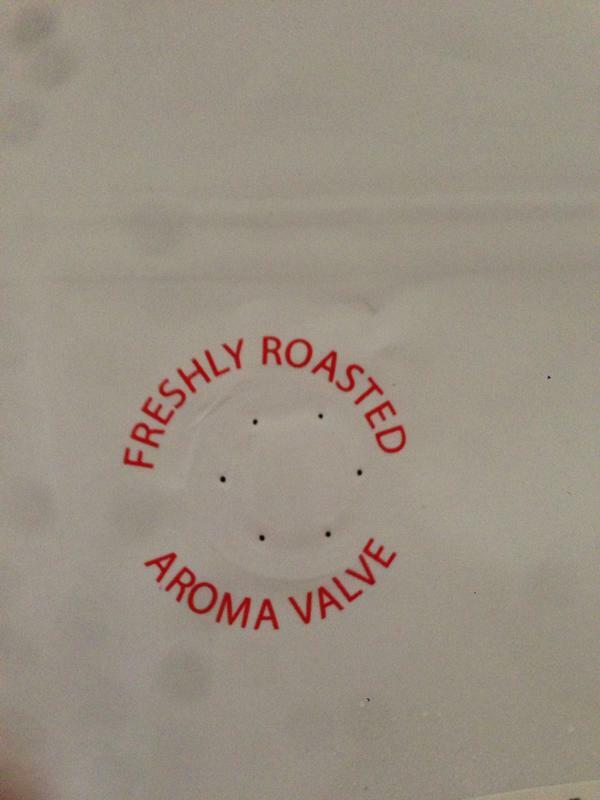 Do you buy from a coffee roaster that insists on using bags with ‘aroma valves’? These valves cannot be recycled currently and so inevitably contribute to plastic waste. Is this packaging really necessary for the way that you buy your coffee? (See here for an interesting taste comparison of coffee stored in bags with/without aroma valves). Meanwhile, the coffee itself is frequently supplied in a metallised plastic packaging, does the roaster you buy from try to minimise the environmental cost by using recycled/oxo-bio/compostable/paper packaging? Why not ask them? And tea drinkers, you do not get away with it! There’s plastic involved in tea drinking too. Tea bags are often supplied in cardboard packaging that is then wrapped in plastic, and even loose leaf tea can come in paper bags with plastic windows or metallised plastic bags. Worryingly, even tea bags themselves can occasionally be made of a plastic material that does not break down in a composting bin‡. Plastic truly gets everywhere. Giving up plastic can mean taking the opportunity to enjoy your coffee properly. So, nearly halfway through July and my attempts at being “plastic-free” are mixed. Some things are relatively easy to change, a metal tea strainer and loose leaf tea replaced the tea bags when they ran out. The coffee I use at home comes in paper packaging from Roasting House. Other things such as bottles of shampoo could be replaced by shampoo bars (like a bar of soap only for shampoo). Even the soy milk I use at home was easily exchanged for a home-made oat-milk. 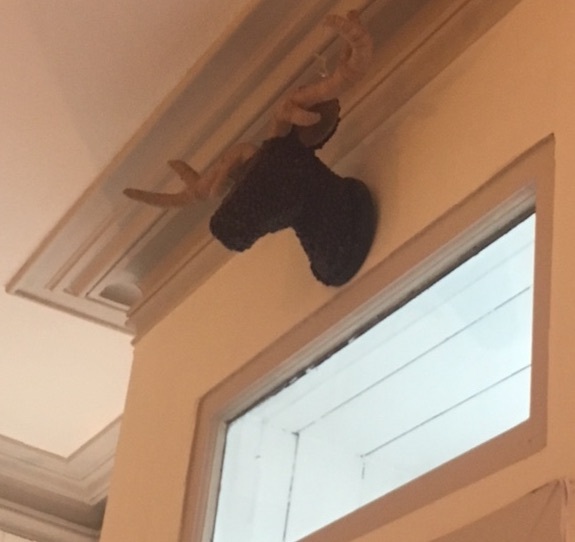 However, some things have been difficult. Shopping particularly is not very plastic-free friendly. Although there is advice on taking containers with you in order to buy meat, fish or cheese from the counter in a plastic-free way, I am not sure that this would work in my local supermarket and anyway, they have to weigh the meat/fish/cheese which will involve them putting it on a plastic bag on the scales. Just because I do not walk away with plastic in my hand does not mean that I am not responsible for its use. Cooking oil too frequently comes in plastic bottles and, given the increased weight and therefore transportation costs involved in glass packaging, perhaps this is an example of a good use of plastic. An attempt to move away from aluminium-lined, plastic tube toothpaste to plastic-free tooth tabs has been complicated by the fact that the tooth-tabs are supplied in a plastic bottle. And I’m afraid that I am partial to a bottle of beer occasionally even though they do have plastic lined metal caps. So, my plastic-free July has been a bit mixed but certainly not single use plastic free (so far). But, it has been worth it in order to really see just how ubiquitous single-use plastic is in our day to day living. Is it possible for you to cut down just a little bit on the plastic that you use every day? Why not sign up to Plastic Free July and see where your challenges lie. If you are already signed up to Plastic Free July or if you are trying to live in a plastic-reducing way generally I’d love to hear how it’s going. Also if you have an opinion on the use of plastic in the coffee industry (either in cafes or by roasters) do let me know. † The study was done in 2006. ‡ I was alerted to this initially by a friend’s comment that certain pyramid-type tea bags never seemed to break down on their compost heap.